Yoshi energetically bursts into the brawl! Aw, he looks so cheerful. Don't you just want to hug him? 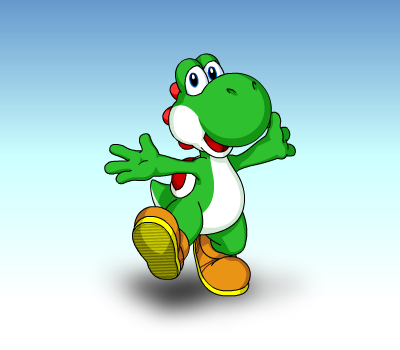 Yoshi enjoys a healthy re-balancing, making him almost unpredictably threatening in a fight. A lot of the characters you used to mock might just surprise you this time around, uh huh. Cruising in on his warp star, Kirby arrives just in time for his third battle! A lot of his moves have been re-tuned for the better, I'd say. Yup, Kirby's really packing some power for this brawl. 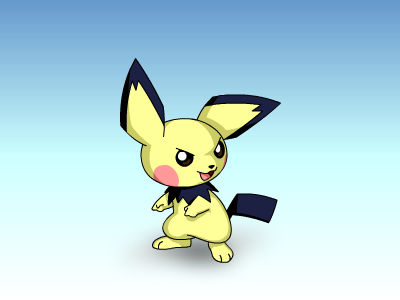 Pichu returns for the brawl! You shouldn't under-estimate the little guy... He's even more-so a threat to himself and others! It's quite something how many notorious villians are offering their aide to the Subspace Army's cause. 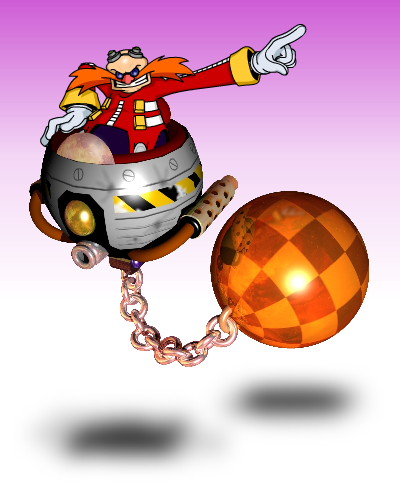 Even the mad scientist, Dr. Ivo Robotnik, is bringing his war machines to the brawl! "Eggman" makes his throne in the high ranks of the army, and you'll face him multiple times in a varied selection of his fiercest crafts. Just one of your encounters is against his trusty wrecking ball craft! But be careful, he may have made some changes that you won't immediately expect. If you thought Bowser was a nuisance, just wait until you meet his son! Bowser Jr. mischieviously storms the Brawl! 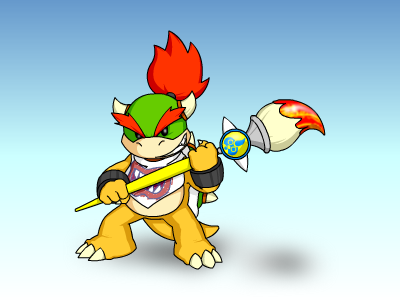 Bowser Jr. is drastically different than his old man. Wielding his magic paint brush from his Delfino Isle exploits, he's a light-weight multi-hitter that carelessly scribbles graffiti as he brawls. Who's going to clean up this mess?! Miles Prower makes his Smash Bros. debut! 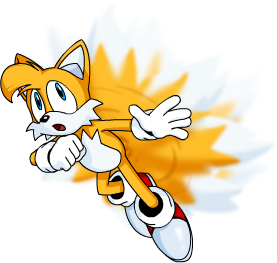 Tails is really an interesting assist. All he does is follow you around. The mysterious Sheik once again returns to the Smash scene! Absent from Twilight Princess, she's a seperate character from Zelda this time around. We also saw fit to ... slightly redesign her. She's all woman! Sheik is still the quick hitter you know, though she hits a little softer this time around. She and Daisy are similar characters, and I guess you could say Daisy is the powerhouse of the two. 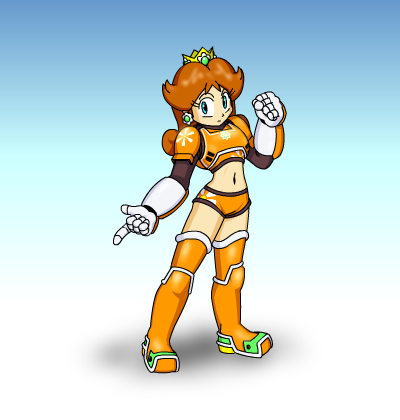 Bringing her specially designed Strikers armor, Daisy charges into the Brawl! Much more agile and athletic than Peach, she's really a different play style. Daisy fittingly represents the Mario sports franchise. We thought it was much more complimenting than just a costume, don't you? From Wario Ware Inc., Wario's twin brother, Waluigi, appears! 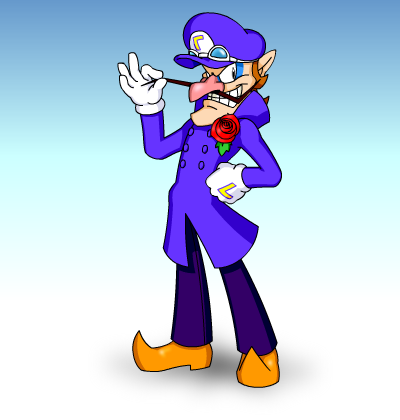 Waluigi really hasn't been in Wario Ware Inc., so we got to have some fun with him. Waluigi is the exact opposite of his slob of a brother. He's a complete neat freak! What kind of wacky antics could he be bringing to the Brawl battlefield? Well, you'll just have to be patient and see. ... 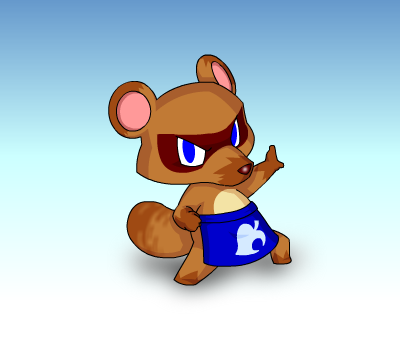 I've heard word from the townsfolk that he's been seen training in a unique form of martial arts used by the fabled tanuki. Are you as curious as I am? 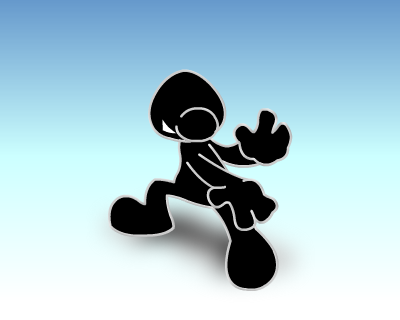 A classic among classics, Mr. Game & Watch is ready to Brawl once more. Is he a little less flat this time? Why, of course not! That wouldn't make much sense, would it? Mr. Game & Watch really hasn't changed a lot. 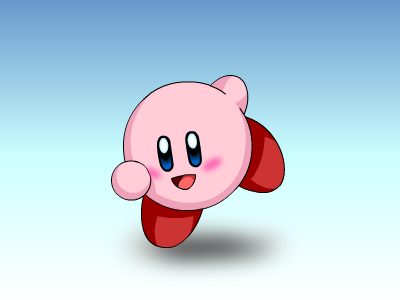 He's changed even less than Kirby has! Super Smash Bros. and Super Smash Bros. Brawl are copyright to Nintendo, HAL Laboratory Inc., and Masahiro Sakurai. Smash Bros. DOJO!! site layout is copyright to Masahiro Sakurai and his team. Varying characters are copyright Nintendo, HAL Laboratory Inc., Pokémon, Creatures Inc., GAME FREAK Inc., INTELLIGENT SYSTEMS, Konami Digitial Entertainment Co., Ltd., and those are just the ones listed on the official site. Needless to say, any character that was created by a certain company is copyright to that company.